Weblogic 10.3.6 server installation is bit tricky in windows 7 64 bit as it does not comes with OEPE, it only comes with coherence. 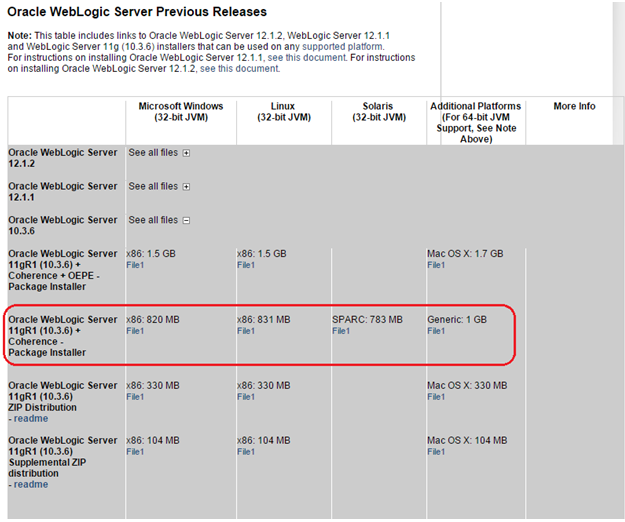 So if we are planning to Install OSB 11.1.1.8 on windows 64 bit then we have to install weblogic first then install OEPE separately. In 32 bit machine it is easier as OEPE comes with weblogic so you need not to install OEPE separately. 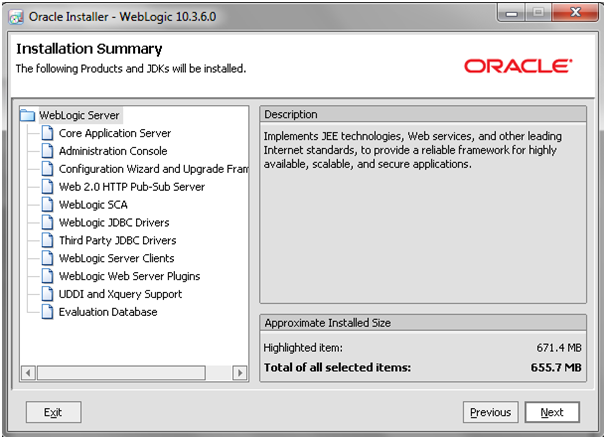 In this post, we will see how to install weblogic 10.3.6 version on windows 7 64 bit. Before we start the installation, we need to make sure that compatible JDK is installed on the machine. 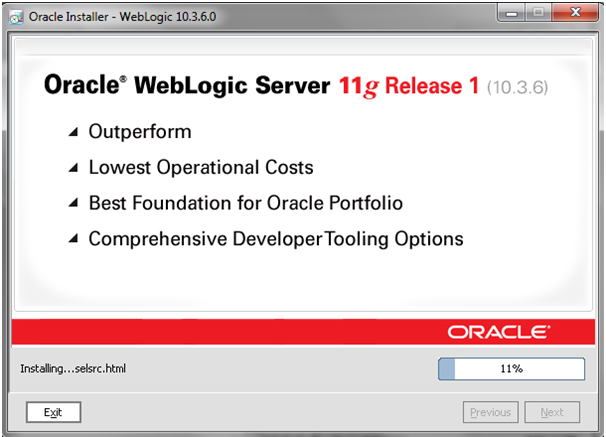 JDK 7 is the compatible version for weblogic 10.3.6 server. So we need to install right JDK 7 version first. If you don't have compatible version of JDK then first you need to install it. 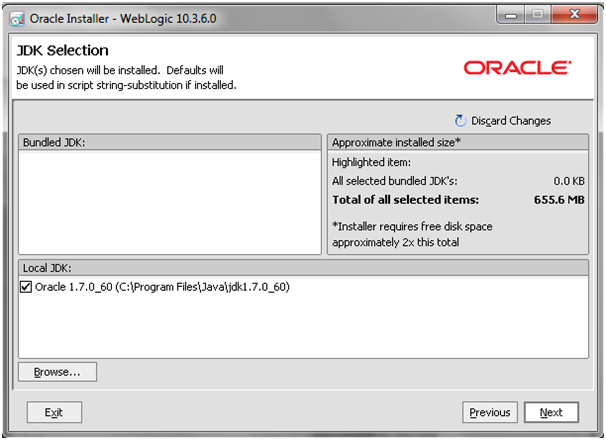 For this post, we assume that you already installed JDK 7 version and we are good to start with Weblogic installation. 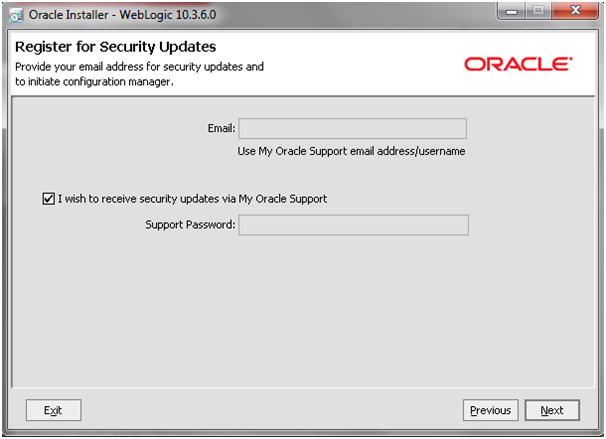 Follow below steps in sequence to install weblogic server. 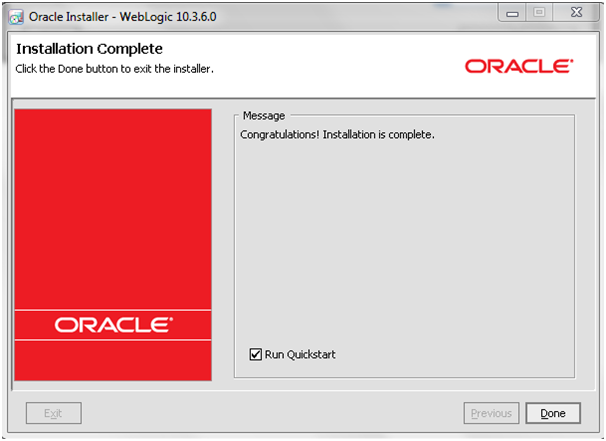 First of all we need to download the weblogic from oracle site. 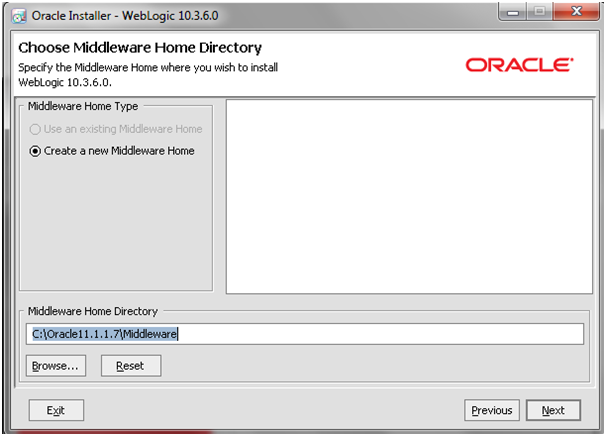 Below is the link from where you can download the installer, you need to make sure that you download window 64 bit compatible version of weblogic. Weblogic generic installer is a executable file so we need to run it from command prompt using compatible JDK version. Go to bin folder of JDK and run below command. It will start extracting the file. Once all the files extracted then it will launch installation wizard. 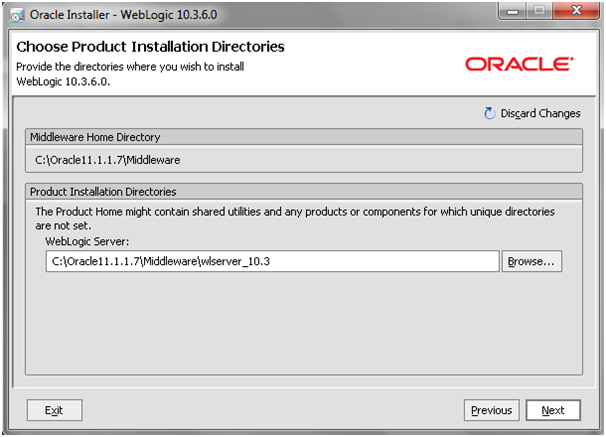 here weblogic_Installer_path is the path of the weblogic generic installer file path. Now we need to specify the Middleware home directory. 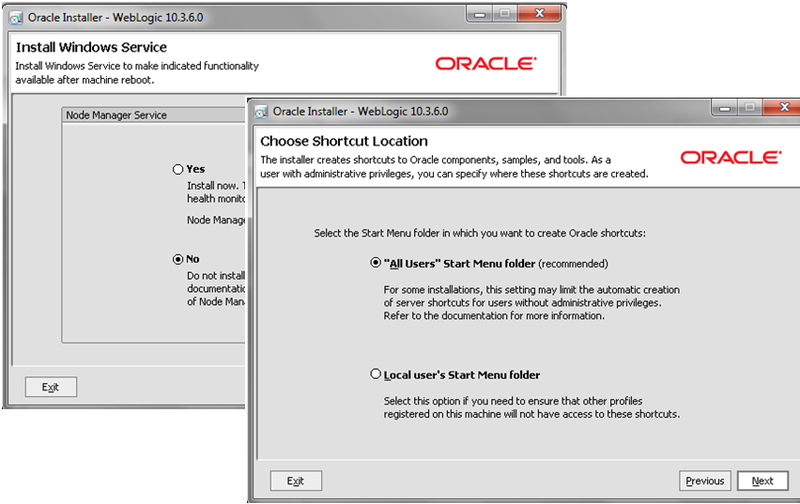 You can choose any folder to install the weblogic files. You can click on browse and choose different folder for installation. You also see another option which is grey out "use existing middleware home", this option means you can existing middleware home for this installation. Click on next to go over next step. If you have license, then fill the required details and go to next step and if you don't have license then you can skip this step. As mentioned earlier, this installer comes with Coherence so it is up to you whether you want to install coherence along with weblogic server or not. 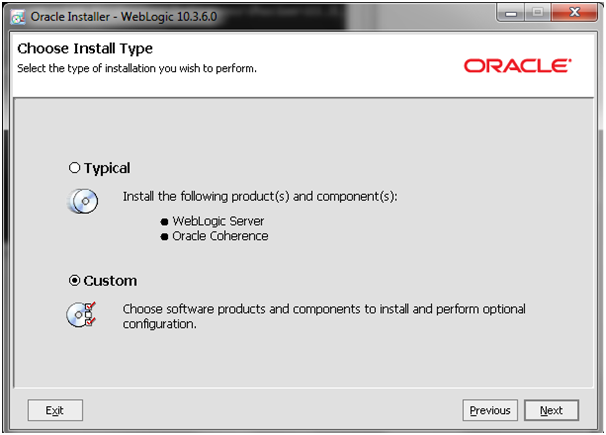 If you want to install coherence along with weblogic then choose Typical otherwise choose Custom. Click on next button to go to next step. Since we choose Custom option in above step so here we will uncheck coherence i.e. 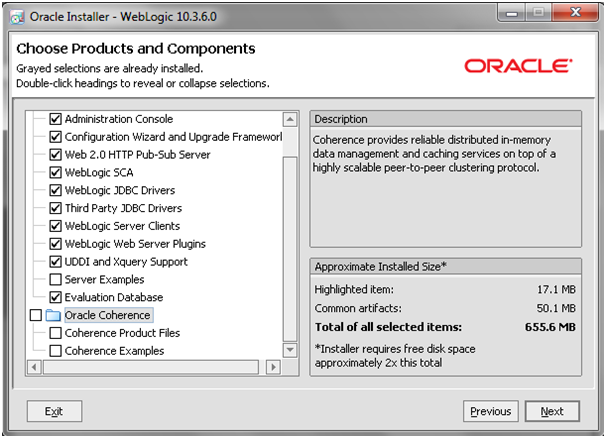 we don't want to install coherence along with weblogic. Click on next to go to next step. Below screen shows you the JDK version, which you used to run the installer. But you can browse button to use different JDk installer. You need to take special care when you choose JDK version because if you don't choose correct version of JDK then you may face issue during installation. You may face below issue during installation "Fatal error occur during installation, Installer will exist and clean up the files". This error occurs when you don't use compatible version of JDK. I have an avid reader of your blogs since long! 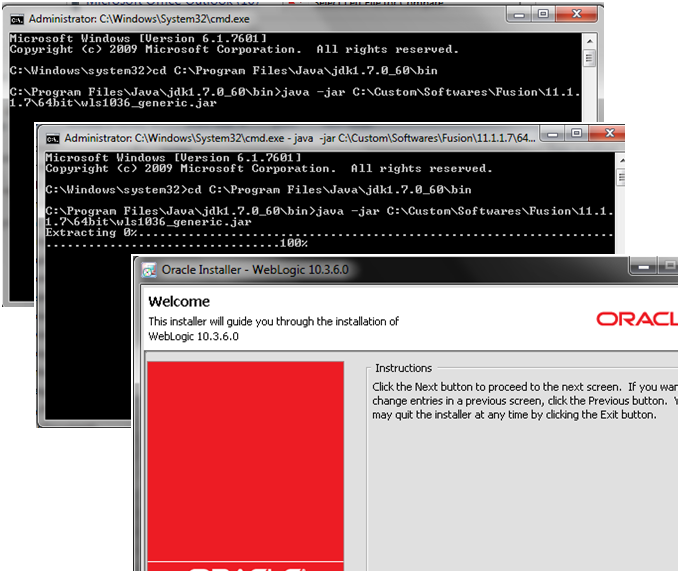 Recently I have been facing issues while installing Oracle Service Bus 11g and SOA suite 11g on 64 bit - OS (Windows 7). It's not very straightforward and enough information is also not available over internet. Requesting, if you can come up with such blog based on your experience, that would be great!